Turkey has given its first official statement on how it believes writer Jamal Khashoggi was killed, saying he was immediately strangled. The statement follows weeks of media reports about the murder at the Saudi consulate in Istanbul on 2 October. Turkey has yet to provide evidence. Chief prosecutor Irfan Fidan said a meeting with his Saudi counterpart on Monday yielded "no concrete results". Saudi Arabia has not commented on the meeting. The Turkish statement said: "In accordance with plans made in advance, the victim, Jamal Khashoggi, was choked to death immediately after entering the Consulate General of Saudi Arabia." His body was then dismembered and destroyed - "again, in line with advance plans", it added. Khashoggi, a Saudi national working for the US press, was a well-known critic of his home country's rulers. His body has not been found, but Turkey, the US and Saudi Arabia have all agreed that he was killed at the consulate. There is still no consensus on how he died. Turkey has not publicly blamed Saudi Arabia for the murder. Turkish President Recep Tayyip Erdogan spoke to Saudi King Salman last week, and the two agreed to continue co-operating in the investigation. Unnamed Turkish officials have previously told media outlets that they had audio and visual evidence to prove their accounts of the writer's death, but nothing has been released. Turkish media have published details on how sources say Khashoggi was killed. His Turkish fiancée, Hatice Cengiz, gave a tearful interview to local television last week, saying she would never have let her partner enter the consulate if she had thought that the "Saudi Arabia authorities would hatch a plot" to kill him. He had entered the consulate to sort out documents for their marriage. What does Saudi Arabia say? Attorney General Sheikh Saud al-Mojeb met Mr Fidan twice, visited the consulate and spoke with Turkey's intelligence agency during his visit to Istanbul this week. He flew back to Saudi Arabia on Wednesday without making an official statement. When news of Khashoggi's disappearance first started to circulate, Saudi Arabia said Khashoggi had walked out of the building alive. A few weeks later, the Gulf state admitted Khashoggi's killing was premeditated and a result of a "rogue operation". It suggested he had died in a "fist fight". 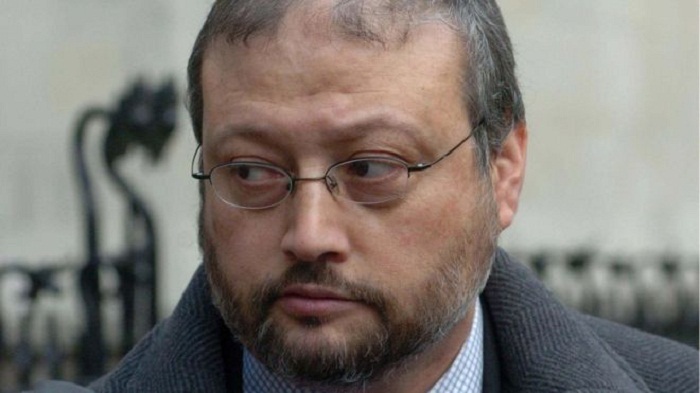 Saudi Arabia has subsequently said that Khashoggi was murdered, and that it is "determined to find out all the facts". The country denies the ruling royal family was involved. It has arrested 18 suspects, who, it says, will be prosecuted in Saudi Arabia. Turkey wants the suspects to be extradited.